The is a 31 sq. km area (12 sq. mi., 7650 acres) very similar to the Bayanzurkh Uul Central area. Read that description. There are couple of SE facing downhill runs that are particularly impressive on the eastern half of the system. They run for 4.25 mi or so (nearly 8 km) and drop 1300'. That's a pretty good long descent and reward for riding, especially early the year when everything is snowed in around Ulaanbaatar. There is also some nice forest riding on the north facing slopes. 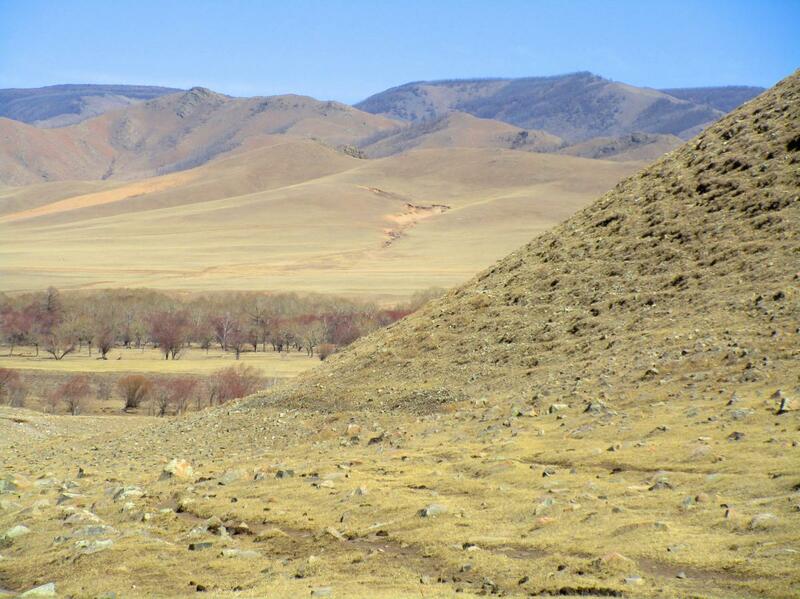 And there is some good ridge riding which is a bit rare for the Bayanzurkh Uul range. You can basically ride on the ridge top NW to SE through the entire area, and this helps to connect all the trails in the system. It is a 4 mi (6.5 km) long ridge ride. Review: Again, like the other two systems on Bayanzurkh Uul, there is a lot of good riding here, and it makes for a good focal point for riding early in the season when everything else is snowy or quite wet. Great place to get into riding shape again each year. Nice climbs and fun descents. Bayanzurkh Uul East MTB Trail 4.00 out of 5 based on 1 ratings. 1 user reviews.